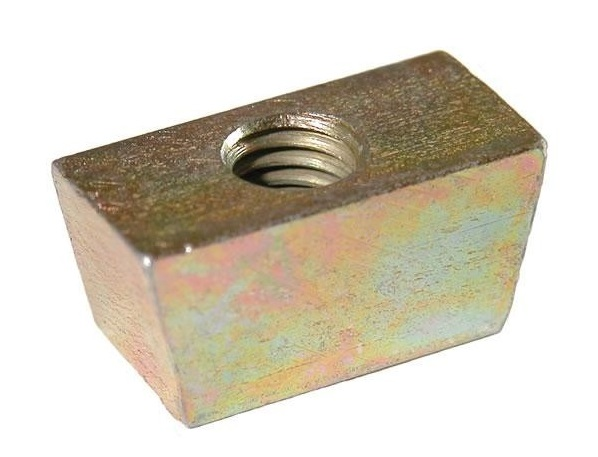 Wedge Nuts with Zinc / Yellow Plated finish. Also known as V Nuts as they are placed in the ‘V’ channel of hollow ribbed decking, they have a tapped hole to accept threaded rods / bolts. Available in sizes to suit M6, M8, M10 and M12. Available in sizes to suit M6, M8 and M10.